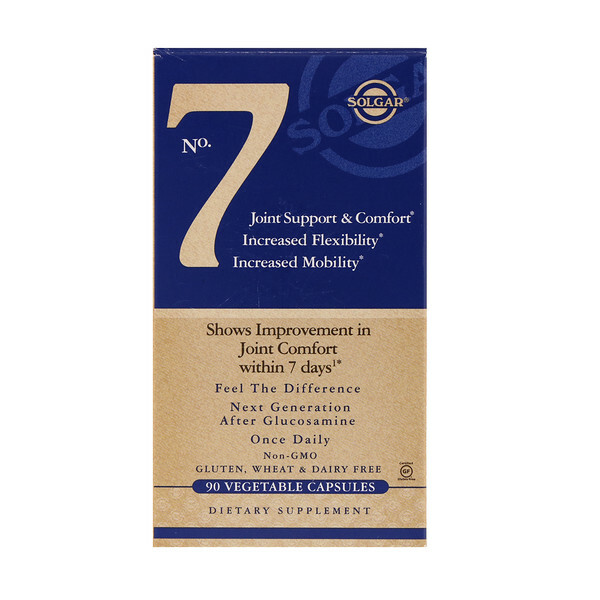 Solgar N° 7 is the next generation alternative after glucosamine that increases mobility, flexibility and range of motion in sensitive joints. 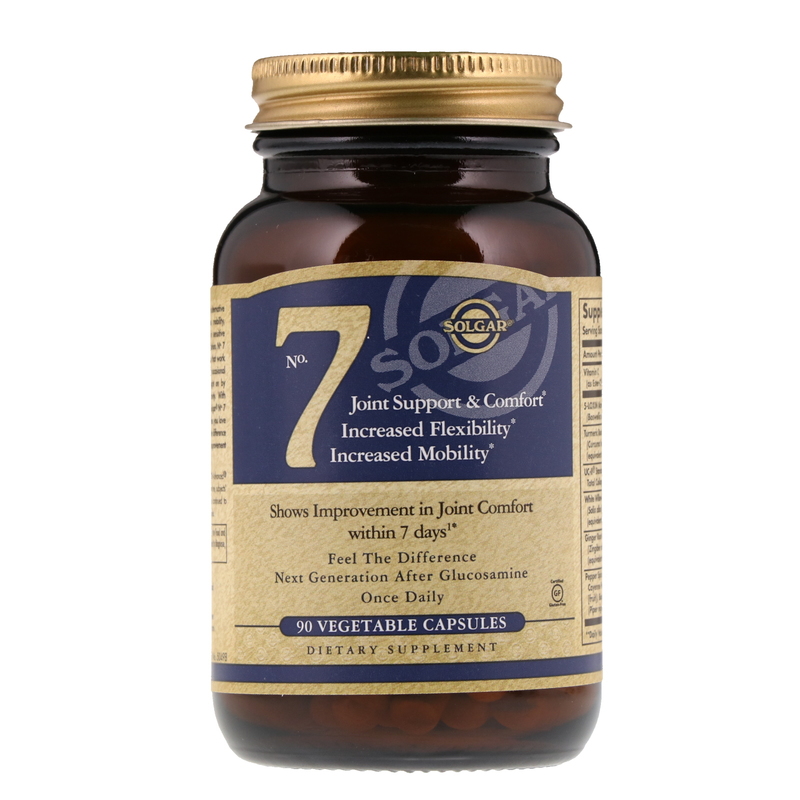 In this breakthrough formulation, N° 7 brings together bio-active nutrients that work to create a fast acting approach for occasional 'tweaks' and joint stresses brought on by exercise, sport or physical activity. 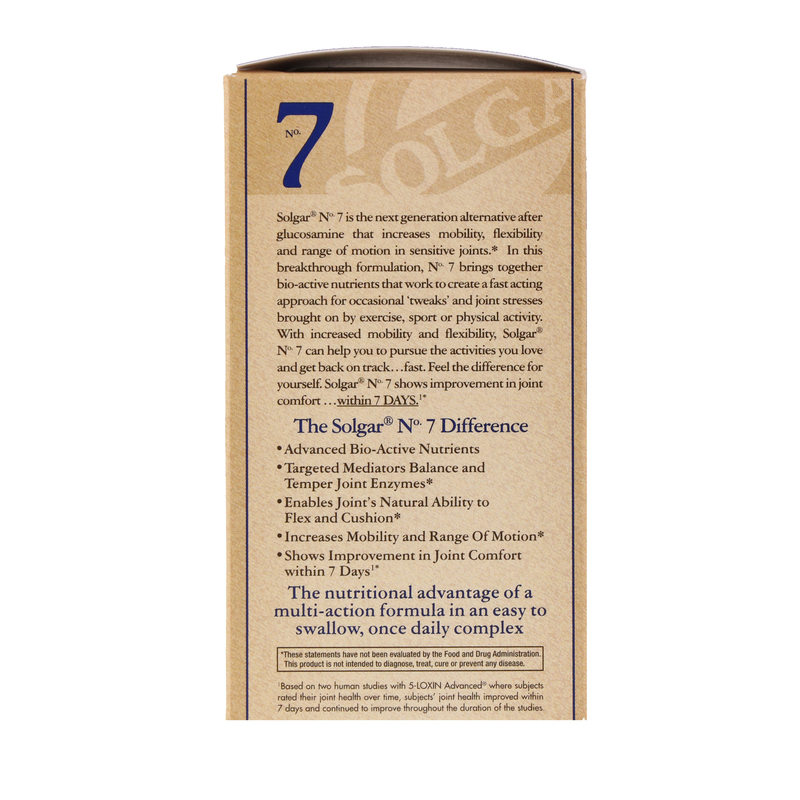 With increased mobility and flexibility, Solgar N° 7 can help you to pursue the activities you love and get back on track...fast. Feel the difference for yourself. Solgar N° 7 shows improvement in joint comfort...within 7 Days. 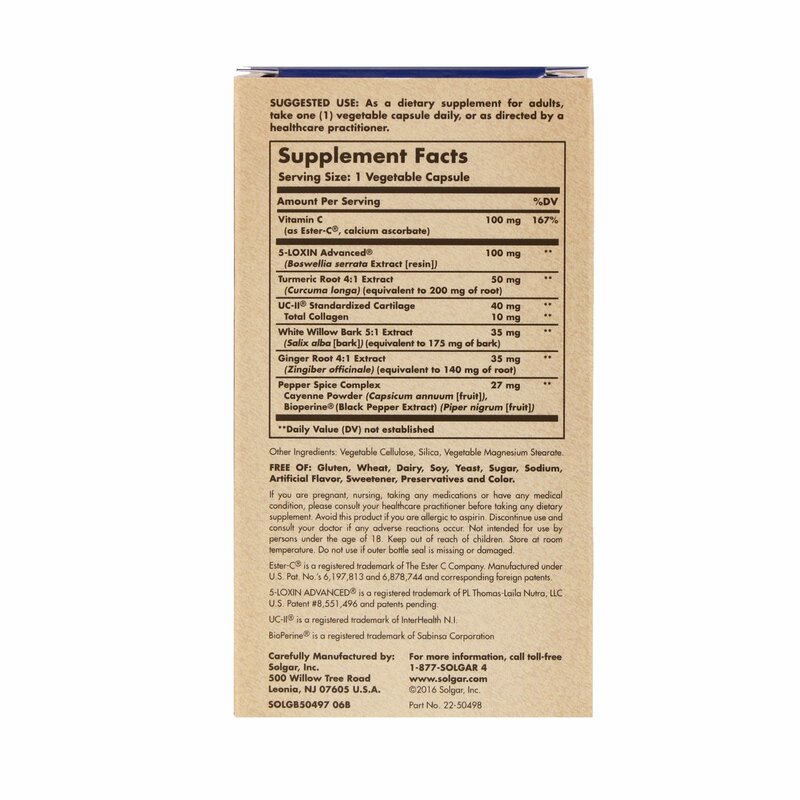 The nutritional advantage of a multi-action formula in an easy to swallow, once daily complex. ¹Based on two human studies with 5-LOXIN Advanced where subjects rated their joint health over time, subjects' joint health improved within 7 days and continued to improve throughout the duration of the studies.